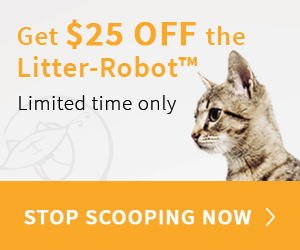 Litter Robot vs CatGenie vs ScoopFree: Wanna Know Which Is The Best? Litter Robot III vs CatGenie vs ScoopFree: Which is the Best? The answer is: it depends on some elements we will mention here. If you haven’t decided between the Litter Robot, CatGenie or ScoopFree yet, I will give you the best information you need to make a good decision. The following comparison will give you a good idea about how these automatic litter boxes work and which is more suitable for you and your cat. If after analyzing these units you still need more options, there are more top automatic litter boxes on the market that may fit your budget better. First you will see basic information, cleaning cycles, what supplies they need, issues you might have with each brand and troubleshooting, to name some. 3-7 or 15 min after the cat leaves the litter box a special rotating mechanism drops the waste into a drawer. Waste and urine go into a disposable tray located underneath the box. Urine disposed through a waste/water drain. Clumps scooped by a rake then liquefied and disposed through a waste-water drain. Rotation stops if a cat re-enters the litter box and resets for another 3-7-15 minutes. It resets to 20 more minutes delay if a new cat enters (“Ultra” version is adjustable to 5-10-20 min). It resets to 10 more minutes delay if a cat re-enters (30 min in Cat Activation mode). Any 8-13 Gal trash / carbon filter NO CatGenie Sanisolution, CatGenie Maintenance cartridge. Ramp Hood (Forever Tray & Litter Bagger are complements but not part of ScoopFree brand) CatGenie Dome, Sidewalls. People that want to forget about the cat’s litter box for several days with minor maintenance. People willing to spend money in disposable litter trays to change it every 2 or 3 weeks (see note 1) to keep the house odor free from the litter box. People that have a 2d bathroom (ideally the garage’s or a laundry room away from living areas) to install it. 1) Depending on the cat you may need to change tray every week. 2) Depends on the brand of clumping litter you use (*) Ratings are based on customers reviews and they could change in the future (**) Costs are approximate and they could change anytime. 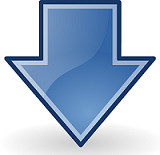 (***) Check details of warranty policy with the manufacturer or distributor. Very important element if we consider that one cat is already enough work in scooping the litter box, so if you have 2 or more cats you need a system able to handle the extra use. c) Not so expensive that it will break your budget but not so cheap that won’t serve its purpose. However, if you want to avoid contact with your cat’s litter box you may want to go for the higher price. If you have multiple cats and don’t know what particular features to search for in order to get the best performer, check how to choose a multi cat auto litter box so you don’t waste your money. LITTER ROBOT III. If you have more than one cat you will need to empty the bagged waste more often. Let’s say, if you have 3 cats, instead of emptying the waste drawer every 10 days, you will need to do it every 3-4 days or more, depending on how much your cats eat and what type of food they eat (cats that eat food made from by-products produce more waste than cats that eat better quality food). Regarding clumping litter, the Litter Robot III allows you to save up to 50% on litter due to its rotating Globe with a built-in screen that sifts after 7 minutes of delay, avoiding the waste from sitting too long in the litter bed, preventing the clean litter from getting soiled. When the Litter Robot 3 is used with a single cat you can forget about the litter box for up to 10 days and more (yes, I am not kidding). You can check my experience with this unit here where I created an in-depth review. CATGENIE. With more than one cat you will need to set the cleaning cycle with 10 minutes delay so each cat can go to do its business in a clean litter box or 30 minutes delay if they can use it dirty. With the 10 minutes delay you will have the machine cleaning more often and with the 30 minutes delay you will have the clumps sitting in there for 30 minutes. It seems like the CatGenie sometimes gets clogs (after 4 months or so) with the cat’s hair or other particles that go through the system. However, this does not happen always and it depends on how often people clean the unit. If you have more than one cat using the CatGenie and you don’t clean the unit very often, you will probably experience clogs. I must mention that there have been cat owners whom haven’t experienced this at all. SCOOPFREE ULTRA. If you have more than one cat you will have to spend more money on pre-filled trays. According to customers experiences with one cat you have to change the tray every 7 to 20 days, depending on how much your cat urinates and defecates. If your cat urinates 3 or 4 times a day, most likely you will need to change the tray every week. Actually, the manufacturer recommends using this system only on cats that are healthy and that means they don’t have whether urinating problems, diabetes or creamy feces. When it comes to multi-cat use, the Litter Robot is reliable up to 3 cats. The CatGenie also can handle 3 cats, but the cleaning cycle takes 45 minutes vs 2 minutes of the Litter Robot. This means with the CatGenie one of the 3 cats most likely will have to wait its turn to use the litter box at some point. LITTER ROBOT OPEN AIR. The previous versions of the Litter Robot may not be good for cats with claustrophobia, but the new Litter Robot Open Air provides plenty of space and room for cats so they don’t feel too enclosed due to its ergonomic wide entryway. CATGENIE. Maybe shy cats won’t like the cleaning cycle, but very good for cats that like to dig. SCOOPFREE ULTRA. Some cats adopt the crystals instead regular litter while others, don’t. The Litter Robot is the easiest to be adopted by cats, actually 99% of cats adopt this automatic litter box. The CatGenie with the loud cleaning cycle may scare some cats whom eventually will get used to it, but this may take a little longer if you have a skittish cat. Regarding the ScoopFree, cats with sensitive paws or that have been declawed might reject the crystals. If your cat has urinary tract disease or diabetes you have to pick a system that can handle urine. The Catgenie is a good option here. If your cat has digestive problems and defecates very soft stools or diarrhea, any automatic system could have trouble collecting the waste, so in this situation there are not very many good options and it is better to use a regular cat litter box. If your cat has a diet including by-products, it will tend to create more waste making difficult for any automatic mechanism to contain all the waste. Think of systems with no trays to contain the waste in this case. With a healthy cat that creates solid stools you should not have problems with any these 3 best automatic feeders. The CatGenie and Litter Robot have a good capacity to handle urine from a single cat or with multi-cat use. The Litter Robot, due to its rotating mechanism has the ability to manage softer feces better than the CatGenie or the ScoopFree. The CatGenie soft feces get caught on the arm creating bad smell when doing the drying cycle and the ScoopFree gets some soft feces stuck on the rake. LITTER ROBOT. Big investment in the beginning, but you won’t be trapped having to buy the Manufacturer’s supplies to make it work. The Litter Robot works with any clumping litter and kitchen bags. CATGENIE. 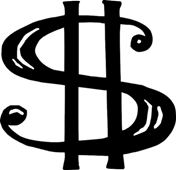 Medium investment in the beginning and you will have to buy the brand’s supplies to make the unit work and make sure to never run out of supplies. SCOOPFREE. Not so big investment in the beginning and you will have to buy pre-filled trays and change them as much as it takes to keep the system clean and odor free (check the excellent tip given from a reader in a comment below. He explains how to make the Scoopfree a much less expensive alternative by buying the Forever tray and the crystals in bags). 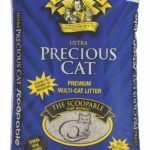 The ScoopFree has the lowest price of the 3 best automatic litter boxes, costing less than $140. The Litter Robot is a large investment, but on the long run you save money on litter and you don’t need to buy special supplies to make the system work. Only clumping litter and kitchen/trash bags. Whatever you decide, make sure to consider all these elements before making a purchase and decide what’s the most important for you. Make your own research by checking current prices of these top 3 units. Bought the Scoopfree Ultra. It works very well. I use a permanent tray for crystals and buy them for $4.50 every 4 pounds from Wal-Mart. The brand is MiMi but fresh step crystals will work too. The brand is not expensive to maintain if you buy that reuseable tray for $50 and stop buying rereplacements. Another worthy investment is the litter mat for it. I love those crystals because they don’t make my floor crumby but it will track a bit. The mat definately works. Thanks Kristopher for your good contribution. I am sure your information will help people who want to buy the Scoopfree but are reluctant because of the replacement trays. The for.info…….where did you buy reusable tray? Just want to say I was a huge advocate for the scoop free. Absolutely loved it. That is until one of my cats started having less than super solid poops. Then it became of nightmare. The rake would turn into a ‘rake cake’. I had 3 cats and was literally changing the trays every 3 days. The whole process became so disgusting that I had to prepare myself with gloves, trash bags and a make-shift gas mask. I really wanted it to be the solution of my dreams but it ended up starting out strong and being and utter failure. Hello Christina, thanks for your comment. As you say, ScoopFree it is suitable for cats with solid feces and to use it with two cats at the most. 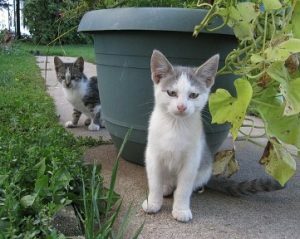 Automatic litter boxes in general perform poorly with soft feces and especially the ones that collect feces with a rake. With multiple cats, it can get really bad as your experience. My suggestion is trying to adjust the diet of your pets or get a manual solution which is not the perfect, but at least you will be able to scoop some attached waste from the box’s walls and not from a rake. Good luck Christina and thanks for your contribution. I have one CatGenie and 4 cats and have minimal problems. I make sure to run the needed cleanings every 3 months. They give you directions on how to clean it properly and it takes no time at all. Absolutely love this box. Best investment I ever made, but definitely never run out of litter! You’ll regret it. I will be investing in the Litter Robot next month and will see how well it compares. I only have one bathroom and my laundry room is not connected to my house so i can’t get a second CatGenie. Although, I’m excited to get a box where I can run to the store and get litter in the cases that I run out rather than ordering online and waiting for it to arrive. Thanks for sharing your experience with us Crystal! I’m a first time cat owner (two kittens). This was an incredibly helpful comparison. We are going to try the Little Robot. Hello Boone! I am happy I could help you with my comparison! Just thanking you for the helpful comparison! I purchased a Litter Robot several months ago, for five cats, and am very, very happy with the purchase. I do have to sweep the area daily (even with the fence installed we have some spillage) and occasionally the kitten will mess with the unit enough that it shuts down (red blinky light) and requires an unplug/reset, but it’s otherwise completely trouble-free and an ingenious design. I should also mention that Litter Robot is manufactured in Wisconsin. I am happy this comparison helped you Jenn! I’ve had a litter robot for about 9+ years now and LOVE IT. It’s only had to have a really thorough cleaning twice but now sadly is acting up and I think it’s time for a new one – two cats have been using it for the last 9+ years so I think it’s earned a rest! I was disappointed to see the price jump from $375 when I bought it to $452 (plus tax, I assume) but I guess that’s to be expected. It’s a big outlay but I have never regretted my original purchase, it was a bit of work convincing my husband to spend that much but the reviews convinced me. Now I will find the $$ to replace our original because it’s totally worth it. Thanks for your commment. Some people have not experienced clogs with the CatGenie while others, have. It depends on the maintenance and the cat’s fur. ScoopFree is a good solution for cat owners with one cat that does not eat by-products foods. With two cats become a little more expensive but I am happy yours last for 2 weeks, that’s impressive! I have two CatGenie use to love it , but it gets expensive to run and i have been having problems with the cartrige for the past years , the cartrige Light say that I need to change it but …it is a brand New one ,there is defenetly a problem with it but I cant seem to solve it, im thinking of changing for the robot. Hi Diane! thanks for sharing your experience. I hope you get a solution from their Customer Service since you have 2 units and have been a loyal customer. If not, you can try the Litter Robot which is a very good solution since you can use any clay clumping litter. Thanks again! I’ve had 3 scoop free ultra’s for nearly 10’years to take care of my two cats. Wanted to address a couple of earlier comments. The forever tray is a must, makes everything cheaper and easier. Thank you very much for your comment. I am happy your experience with the ScoopFree Ultra has been excellent for so many years. How do these three compare to the Littermaid brand? That’s the only brand of automatic litterbox we’ve tried so far, and I think it was the first one, so I’m a little surprised you don’t even mention it. Aha, never mind. I hadn’t seen the complete page of automatic litter box reviews when I wrote that, just this “top three” page, and I see you do have a review of the Littermaid.